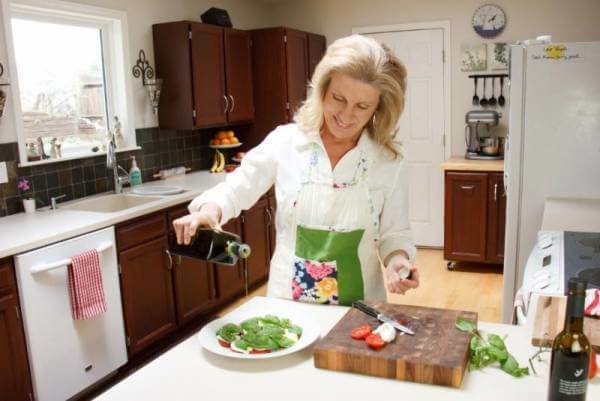 Judy Purcell’s obvious passion for healthy cooking and living shines through in her writing and teaching. The creator of an artfully designed blog, Savoring Today, she devoted much of last year to accomplishing her dream of publishing a cookbook. The result, titled Serve and Savor, is available for purchase at Ranch Foods Direct. And she’s already at work on a follow-up edition that will focus on make-ahead meals. Judy also teaches cooking classes. And on Saturday, June 18 (just in time for Father’s Day) 11 a.m.-12:30, she’s offering a class on grilling at Ranch Foods Direct, where the main ingredients in her demonstration will be available for purchase. The class is $35. To sign-up, go to SavoringToday.com/events CLICK HERE. “I can’t recall where I first heard about Ranch Foods Direct, maybe when I was researching a source of raw milk. We were looking for healthier products overall and wanted to get away from commercial meat. We’ve been getting our beef and pork pretty much exclusively from Ranch Foods Direct ever since. We’ve purchased about every different cut the store has to offer at one time or another. Probably my absolute favorite item is the bone-in rib-eye. And what makes it even better is being able to have the butcher cut it to just the thickness I want! I also like getting cuts you can’t get at the regular grocery store, the more unusual items. Oftentimes they are actually more tender than anything else that’s out there. I love that with Ranch Foods Direct, we have access to the whole cow. It fits our approach to food: whole food from as close to the source as we can get it. “I grew up on a farm and so I’m familiar with what it takes to produce food. I grew up in northeast Missouri near Hannibal. We had 40 acres, where we grew vegetables and canned them in the summer, and we had goats and other livestock. I grew up with the type of lifestyle that is more like most people’s grandparents. So I appreciate what Ranch Foods is trying to do. I like being able to support small farmers. “When I left the farm, it was easy to fall into eating processed foods and convenience items. But along with that came health issues, not only for me but for my mom, my husband and my daughter, and that’s what got me back on track with whole foods. We decided we had to re-think our food sources. A lot of those issues cleared up when we got away from processed food and paid more attention to what we were eating.